#1 – LET YOUR RECRUITING COACH KNOW THAT YOU ARE COMING AND WOULD LIKE AN EVALUATION: Call the camp office (the phone number should be on the brochure) a couple days before you go and tell the person who answers the telephone your name, position and high school. Ask which coach recruits your area or position. Write down their name and get their direct email address and phone number. Ask to be transferred to them—let them know or leave a voicemail telling them that you are coming to the camp in a couple days (don’t call much sooner, they will forget), that you are emailing your highlight video right now and would like an evaluation, if possible, at the camp. Email them a link to your most recent highlights and include your name, jersey number, high school, position, graduation year, height, weight and contact information along with the camp date that you will be attending. When you arrive to check-in, ask a staff member if your recruiting coach is there and to point them out or see if they are able to introduce you to them. Tell them you are excited to be there say you would hope to get an evaluation and ask if they had a chance to look at the highlights that you sent them. #2 – NETWORK WITH ALL OF YOUR COACHES: Get to know all of the coaches who are working the camp—not just the coaches from the school that is hosting the camp. Many camps, especially at major Division I programs, have several other college assistants working them, usually from smaller programs. Many coaches from other colleges may be there to network and recruit. They are usually connected to the coaches at the school that is hosting the camp, they may be old teammates, co-workers, friend of a friend or coaches who have previously met at a conference. There are also usually several area high school coaches that are working at the camp, and they may also have leads for you to other college coaches, from all different levels. During meals or down time simply pull them aside and ask them for ADVICE—let them do most of the talking. Tell them, “Coach, I really want to play on the next level, can you give me an evaluation, let me know what you think I need to work on in order to be recruited.” This will open the door—some of your coaches may have no leads for you but MOST probably will. Even if you aren’t someone THEY are interested in recruiting, most coaches are happy and willing to help and there is a chance that you may be a fit for a school where one of their friends coaches at. Some will be happy to make an introduction or call on your behalf, and you may get recruited from there. NETWORK with ALL of the coaches and simply ask for their advice—see where it takes you! #3 – TEAM CAMPS: Team Camps are a great way to build chemistry with your team, network with coaches, get a chance to be on a college campus and to see how your team stacks up versus other teams in the area. Team Camps are also usually more affordable than Individual Camps and college coaches may but more emphasis on them as far as recruiting or making evaluations. Talk to your prep coaches or parents about the possibility of getting a group together and fundraising to go to a Team Camp or two, they are definitely great investments for your recruitment and your upcoming season! 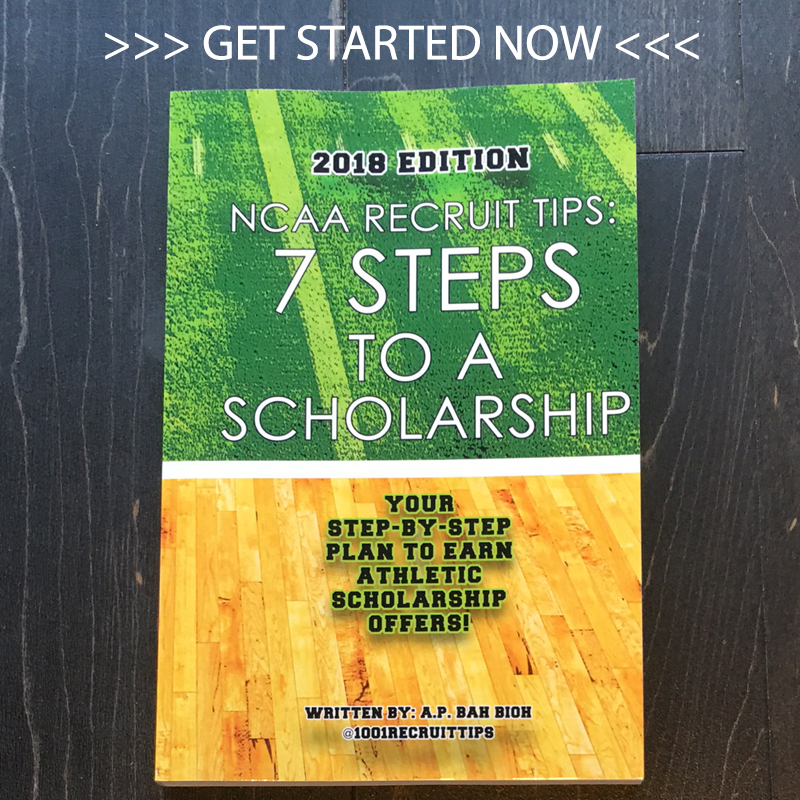 #4 – GET A PART-TIME JOB: Camps can be expensive but if you believe you are worthy of being recruited and aren’t getting the attention that you would like, they are a TREMENDOUS way to get your foot in the door to find out if there is any interest from a particular school or to network with several college coaches. Unfortunately, due to NCAA rules, no school is able to discount or offer need- based camp scholarships. But, never let money be an excuse—plan early and get a part-time job or find out if your family is able to help you cover the cost of camp. Sessions usually run between $150-$300 for a few days worth of instruction. It is a really great investment! Camps could be something that you asked for as your birthday present, holiday present or something that you could possibly earn through chores or an allowance. #5 – CAMP WITH YOUR HOMETOWN TEAM: If you aren’t gaining much interest, start with the local universities that are near your home and try to get into their camp. Remember, one of the first questions a coach will ask you is, “Who have you been offered by.” Even if it’s not your dream school and you are just counting the minutes until you can move far, far away… it always will help you gain interest from other schools if you have a scholarship offer from the hometown team. See #2 – Not only will you be networking with the coaches from that school, you will likely be networking with coaches from other colleges who may have interest in recruiting you. #6 – PRORATED CAMP FEES: Due to NCAA rules, schools are not able to discount camp rates or offer need-based scholarships… BUT, they are able to prorate camp fees. If you aren’t able to afford the entire amount for a camp that lasts for several days, most schools do pro-rate their fees on a day-by-day or practice-by- practice basis. For example, if a camp is $300 for 5 days, you may be able to attend for one day for $60. You need to make the most of your time at this session—call before you go and let the recruiting coach know that you would like an evaluation if possible (send or bring your film highlights to the camp) and ask for advice from every coach that you are able to be around. Get there early and stay late, eat meals with staff and ask for ADVICE on getting your foot in the door to be recruited. Squeeze as much networking and learning into the day as possible! Learn or ask the coaches for some position-specific drills that you may be able to do on your own to improve. #7 – COMPETITIVE OR ELITE CAMPS: Many major universities host smaller, more competitive camps that they like to emphasize to the players who they are evaluating or currently recruiting. Due to NCAA rules, camps must be “open to any and all entrants, limited only by number, age, grade level and or gender,” so any player who would like to attend (within this limitations) may do so. Even if you haven’t been personally invited by the coaches like some of the other players, you are able to attend and can still get your foot in the door with the coaches. A few players get recognized and begin to get recruited this way, so don’t worry if you weren’t invited or recruited to come like some of the other players. Call each program that you are interested in and ask them if they plan on hosting a Senior Camp, Elite Camp or Competitive Camp for recruits. Sometimes information isn’t advertised until a couple weeks before the camp, so continue to check in every month during the summer to find out if they are hosting such an event. #8 – BEST WAY TO GET COACHES ATTENTION WHILE YOU ARE THERE: Outside of elite skill, size and speed, coaches are always looking for players who are fundamentally solid and who know how to do the dirty work—the acts that help win games that most players don’t necessarily want to do or the plays that don’t necessary get the media or fan glory. Don’t go into the camp trying to make a big ESPN-Top 10 worthy play… go into the camp trying to be the most fundamentally sound and most physical player of the camp. Coaches LOVE players who hustle— players who make the textbook tackle and know how to finish; players who dive for balls, play defense and who can be a difference-maker on the boards; players who aren’t just trying to always be flashy but who are always trying to make EACH play that comes their way. Don’t focus on making that ONE extraordinary play… focus on making every play count. Coaches aren’t looking for flash—they are looking for fundamentals. Want some extra credit? Go out to the field 10-15 minutes early and if the drills are set up (and there are coaches or trainers on the field) get in some extra work, ask for position-specific drills that you can do on your own at home! #9 – STAY OFF YOUR FEET: If you are really trying to get noticed at the camp, treat it as many college and pro players do—like pre-season training camp. Stay hydrated, eat well and stay off your feet! If you are attending an overnight camp, instead of running around the dorms like a 6-year-old and cannonballing into the pool, get to bed early and give your body some rest so that you will be ready for the next practice. 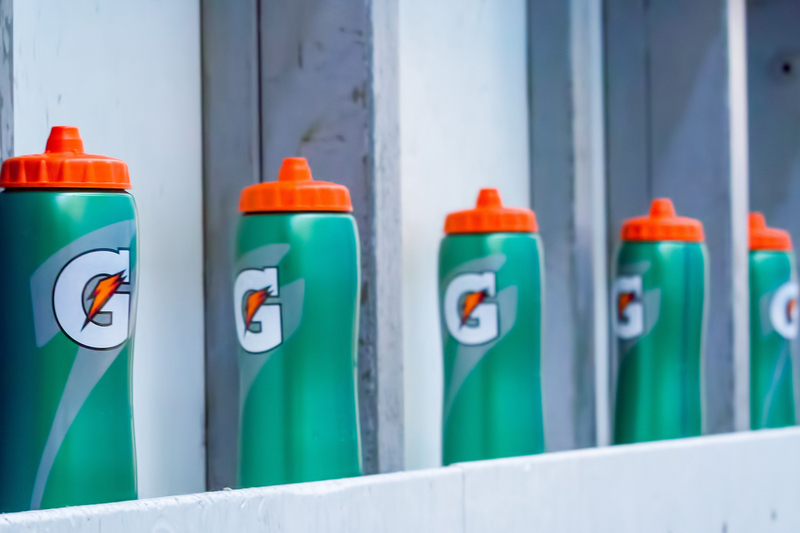 During the season, many college coaches are constantly reminding their players: “STAY OFF YOUR FEET!” Stay hydrated while at practice and make sure to drink plenty of water or sports drinks at all of your meals. Avoid the pizza, junk food and fried foods at the dining hall and stick to the leaner meats, healthy carbs, fruits and vegetables. If possible, bring some extra drinks and bananas to your room to be able to rehydrate during the night. You don’t want to lose valuable practice time because of cramps or dehydration! #10 – TEMPORARY INSURANCE: Most camps will require campers to show proof of insurance—if you aren’t covered but still want to participate in the camp, check into temporary policies that usually are very affordable that can give you 30-days of coverage.